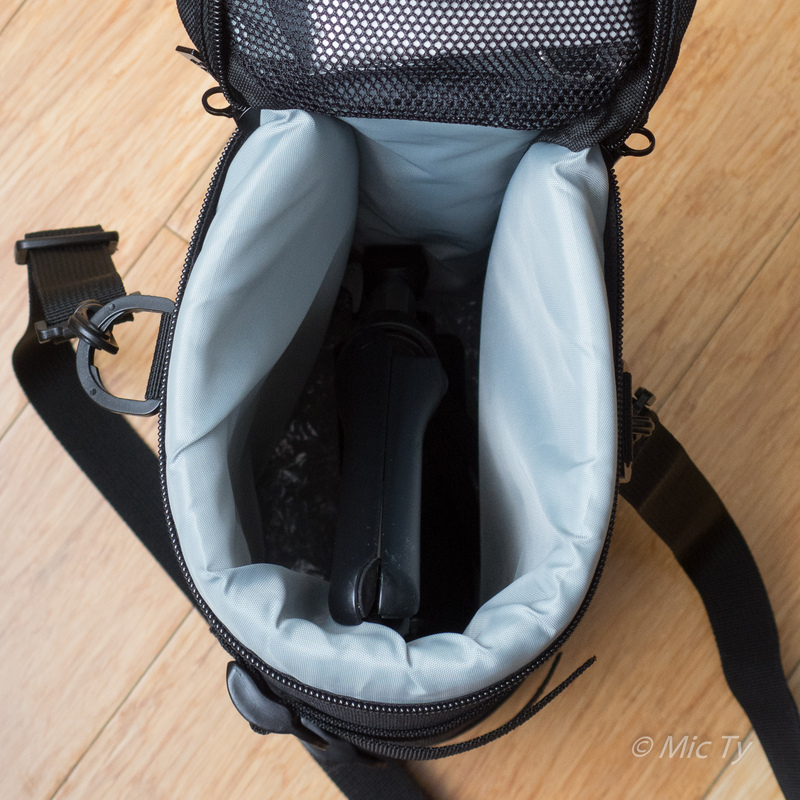 I found a bag for my 360-degree cameras that will allow me to keep my cameras attached to an iKross selfie stick tripod (reviewed here). 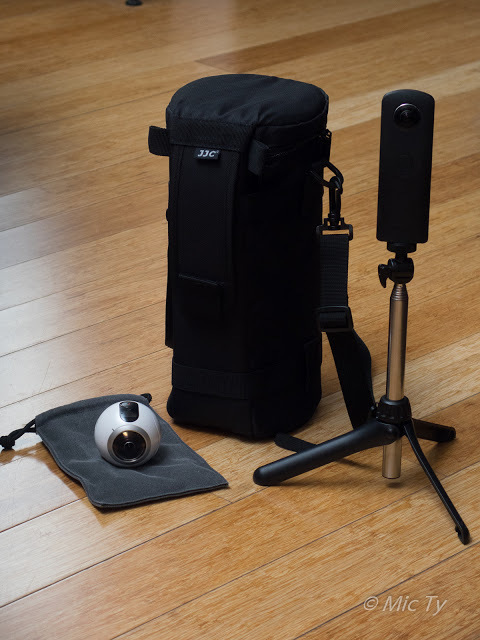 360-degree cameras are very useful but they can also be fragile, often with more than one lens, with the front element usually bulging out, and usually with no rigid lens cap to protect it. They usually come with some kind of bag or case, but the case is often very soft. They desperately need better protection. Another quirk of 360-degree cameras is that they are best used with a selfie stick or monopod. I almost always use one with mine. When I take my camera out of a bag, I have to reattach the selfie stick, and the remove the selfie stick again when I return it. I found a bag for my 360-degree that offers better protection and allows me to keep my camera attached to a selfie stick. It’s the JJC DLP-7, which I ordered from Amazon (it’s not a review copy). The interior is approximately 31cm, and it can easily accommodate the Samsung Gear 360 with the approximately 9-inch long iKross attached. It can even accommodate the longer Ricoh Theta S with the iKross, although I have to tilt the angle of the tripod head. The JJC DLP-7 is made of padded nylon. The bottom is thinner than I’d like so I added extra padding inside. For additional protection for the Gear 360, I also put a lens hood from the Samsung 50-150 (a lens hood for a typical 70-300 or 70-200 lens would probably also work) to provide a rigid barrier around the Gear 360. If you’d like to get a DLP-7, please consider getting one from Amazon through the link below, which would be a welcome way of supporting this site without additional cost to you. Thanks!